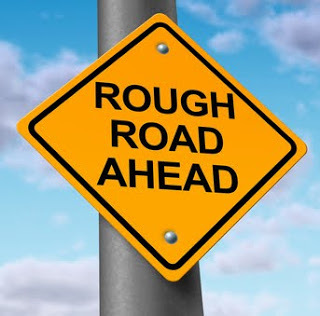 The title above is a commonly heard phrase when working with buyers in our present seller’s market. Mortgage rates continue to remain at historic lows, and buyers are back and are out looking for deals. For some, the best deals are in foreclosed homes where buyers believe they can be purchased below market value. The home can then be fixed up to a buyer’s liking with a buyer’s own labor—a plan designed to create instant equity when home values are higher in the next few years! This thought process is actually a very intelligent way to invest in real estate and create long-term wealth. However, if you are not an experienced investor, there are some very important points to be aware of when purchasing a foreclosed home, especially for first-time homebuyers. Purchasing with an FHA or VA loan. This is probably the biggest snag some buyers have when purchasing a foreclosure. FHA and VA loans require a very stringent appraisal when it comes to health and safety issues. Basically, the home must be in a livable condition. Appliances must be installed and working, and there can be no broken or missing windows. The home must not have holes in the walls, dangling bare-ended electric wires, or missing flooring. These items will show up in an appraiser’s report, and the items will have to be remedied before a lender will fund and proceed with the loan. Requesting repairs. Buyers are under the impression that they can bargain back and forth with a bank in order to get repairs completed. For the most part, banks are not willing to make repairs. 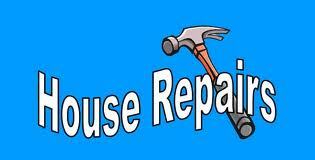 However, if you do want to request repairs be made, take a licensed contractor with you when viewing the home. Get an instant written estimate on how much the repairs will cost. Add the amount to your initial offer. The bank might possibly see the value in making repairs if they view your offer as the one with the best price and terms. Some foreclosures do have repairs already complete. Keep in mind that some banks do make the necessary health and safety repairs before the home is placed on the market. Ask your realtor to locate those homes for you on the MLS. Some of the renovations may also include the installation of new appliances, carpet, and paint. The positive side is that a repaired foreclosure is sure to pass a loan appraisal. The negative side is that these homes tend to be priced a bit higher than a “beater” home a bank is desiring to sell completely “as-is” with no inspections and no repairs being offered to be paid for by the bank. Submit your best offer upfront. With more buyers out looking, banks are receiving multiple offers. It is wise to submit your very best offer right from the start. 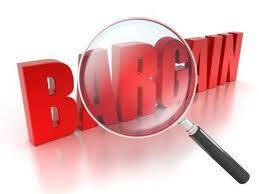 If you do receive a counter offer back, consider it very carefully. Some banks are no longer willing to dicker back and forth. You possibly stand the chance of having your offer completely removed from the bargaining table if you counter back the bank’s first response to your offer. Want to know more about purchasing a forclosure? Give me a call, Clint Freeman, at (760) 382-1082 and let's talk more about it!